Lake Bell Signs On To ‘The Emperor’s Children’ as Director!!! Lake Bell is not just a pretty face that filmmakers can employ into the mix to balance out the brains and comedy. She’s got excellent comedic timing, herself and she is beginning to spend time behind the camera instead of just in front of it. She made her directorial debut with ‘In a World‘ last year and has now signed on for ‘The Emperor’s Children‘ for Imagine Entertainment. Bell has also directed a few shorts and about 4 episodes of ‘Children’s Hospital‘. 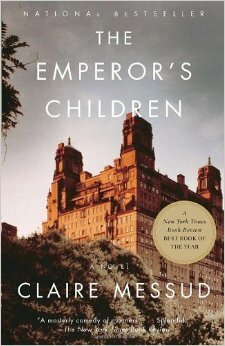 The script was adapted from Claire Messud’s book by Noah Baumbach. The story follows three friends in their early thirties in NYC and their lives before September 11, 2001. Bell is not going to be pulling the same workload as she did with ‘In a World‘. She wrote, directed and starred in that feature which resulted in Sundance’s Waldo Salt Screenwriting Award and a nomination for an Indie Spirit Award. This entry was posted on Wednesday, August 27th, 2014 at 9:12 pm	and is filed under Books, Film, News. You can follow any responses to this entry through the RSS 2.0 feed. You can skip to the end and leave a response. Pinging is currently not allowed. « ‘Underworld’ Is Already Getting the Reboot Treatment!! [during the Opening Space Battle] This is where the fun begins.